A dead battery can cause you to be stranded in dangerous places if not replaced immediately. The battery is not a permanent component of your car and requires a change after continued use. The alternator and battery work together to power all of the car’s electrical accessories. The battery also passes some current to the stator and spins most of the engine’s components. But, what are symptoms of a dead car battery? If you notice that your engine takes time to start/sluggish then note your battery could be dead. A good battery should last you some 5 years. After this, you will start experiencing slow engine starts. When the battery is dead you may find that the car cranks slowly and it is labored. You will need to rule out the possibility that your starter could be the problem or spark plugs are worn out. To rule out a plug problem you will notice that the starter cranks at normal speed. 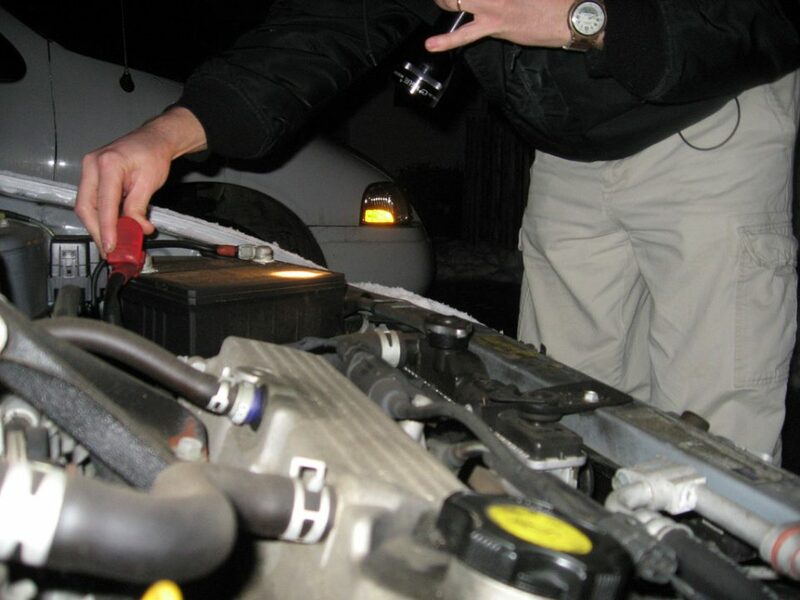 In cold weather – due to battery drain – you will experience problems starting the car. You may choose to weather the storm and wait for warmer weather or purchase a battery producing more amps. The problem could also be a parasitic drain which you need to identify. If you notice that your headlights operate as dim even when your accelerator pedal is at full then your battery is at its deathbed. 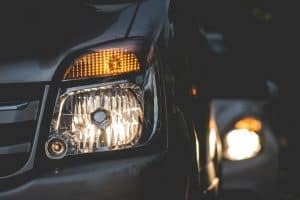 Headlights need a fully charged battery to illuminate well in the dark; it is dangerous driving with such kind of lights because you cannot see ahead and incoming cars cannot recognize you (especially during foggy roads). This is especially more noticeable if the alternator is worn. In addition, you may also experience problems with the car stereo or air conditioner whenever you have a dead battery. There is a myriad of reasons for a check engine light – a dead battery being one of them. If your engine light is lightened up, You will need to use a voltmeter to check the battery voltage. The starter needs the battery’s current to power the engine. When the current is low the starter does not receive enough power to start the engine and you will hear a clicking sound is produced from under the hood. A dead battery produces not sound whenever you turn the ignition. But there are other causes for this and you need to rule out faulty ignition switch, starter, and the fusible link. Closely related to a slow crank is the car backfiring. The battery can cause sporadic sparks in the combustion chamber which can lead to the fuel/air mixture not properly igniting. This leads to more fuel accumulating in the combustion chambers which is then passed along the exhaustion chambers. But, before you replace your battery due to backfiring ensure you have ruled out other related problems. When the battery is weak you will see a faint door light but when it is dead the door lights do not come on. If you replace your battery and the problem persists then the problem could be the door wiring. One of the reasons for a dead battery is human error. There are moments you are in a hurry and you forget to switch off the headlights or close a door. When the lights are left on overnight or for a couple of days they drain the battery and your car falls to start. However, modern cars have alerts whenever you leave your car lights on and you will hear some sound. If you have purchased a radio set with large subwoofers then you find your battery constantly drained. You will first need to check the wiring and check for poor insulation. Alternatively, you may be required to upgrade your battery for something more powerful. The battery powers the car’s electrical appliances in conjunction with the alternator. As the car moves the alternator recharges the battery. With time the alternator wills start developing loose belts and finally stop working. When this happens your battery will stop charging fully and you will start seeing signs of a dead battery. A bad alternator diode will cause the alternator to continue charging even after you have shut down the engine. in the morning you will find yourself with a dead battery. If you do not take your car for long drives then your battery will not fully charge. The battery works with the alternator to start the car, power the windows and air conditioner. The battery is needed the most when starting the car but it gets drained as it powers most of the car systems. the alternator will constantly recharge the battery as the car moves. 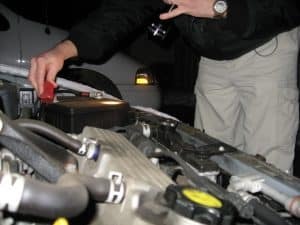 If you only drive the car for short drives you deny the alternator the ability to fully charge the battery enough – this often the case during winter when the car heater is used a lot. During periods of extreme weather, lead sulfate forms on the battery terminals causing corrosion. these build up of lead can interfere with the smooth operation of your battery. A simple solution of soda ash or coke can be used to scrape off the corrosion. it is recommended that you change your battery every 4 to 5 years. If you do not recharge your battery frequently then your battery will expire sooner. When the car refuses to start you could be experiencing a dead battery. You will need to first study the door lights and headlights and see whether they are working or are dim. Loose wiring can be the cause for this and that is why it is paramount that you rule out other causes for the car not starting. If you turn the ignition key and nothing happens you could be dealing with a dead battery. Check also the ignition system. A multimeter is a device that lets you check the voltage from the battery. The low battery charge will cause your crank to labor when it is starting. The battery has some charge but not enough to start the engine. jumper cables can help you jump start the car as you wait for the alternator to fully recharge the battery.